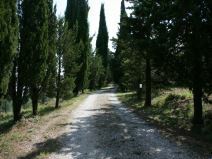 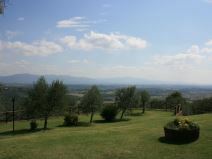 Typical Tuscan landscape. 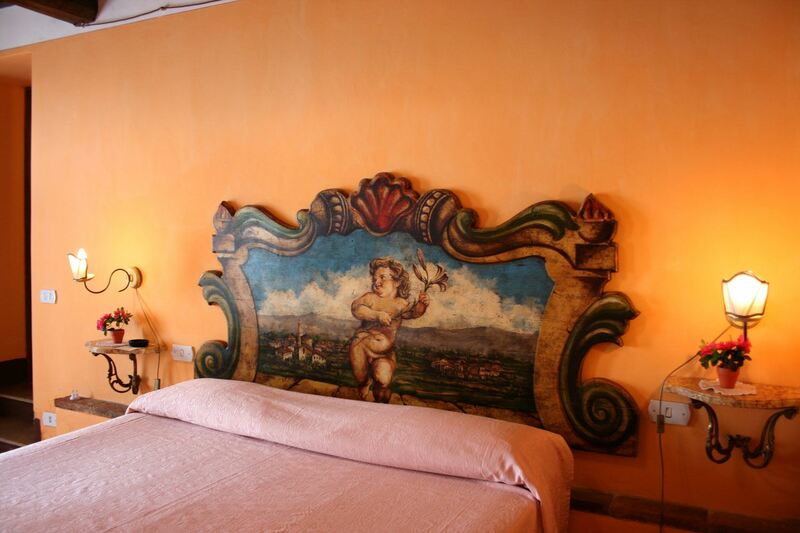 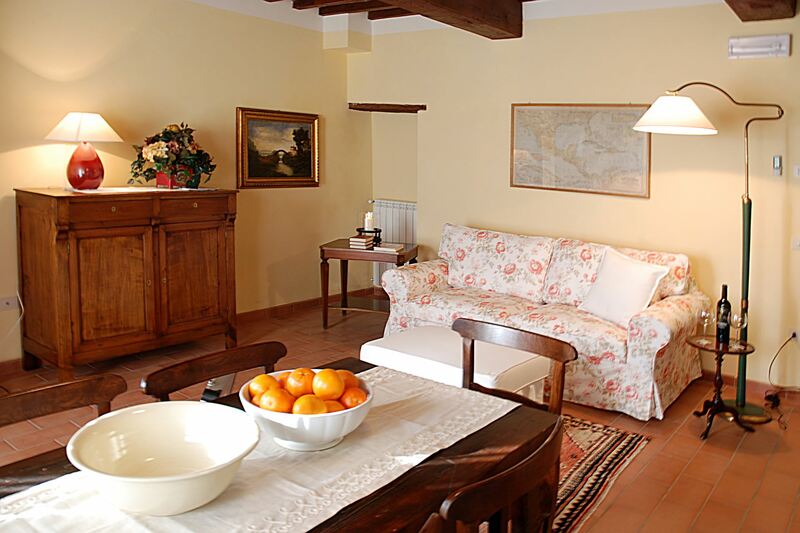 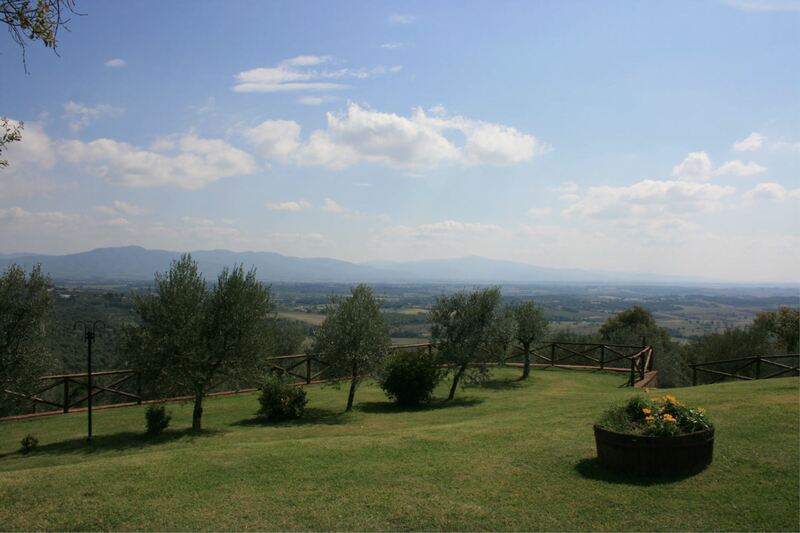 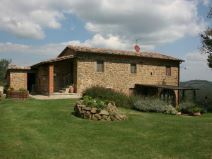 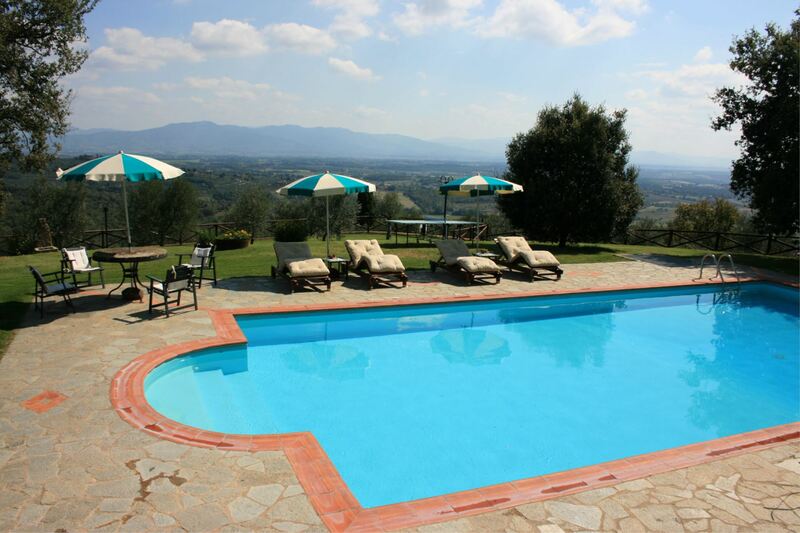 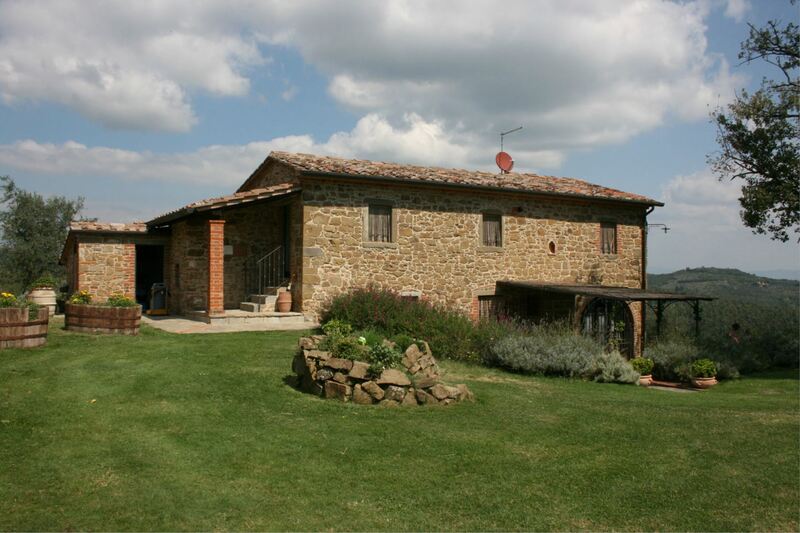 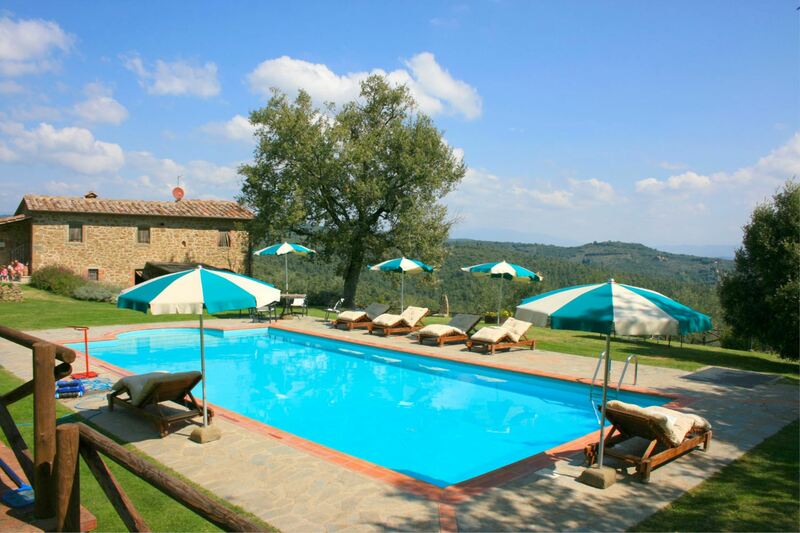 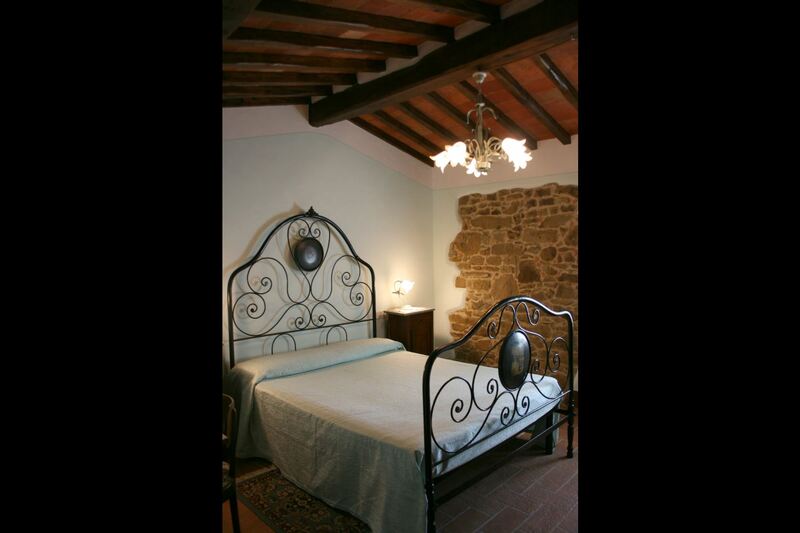 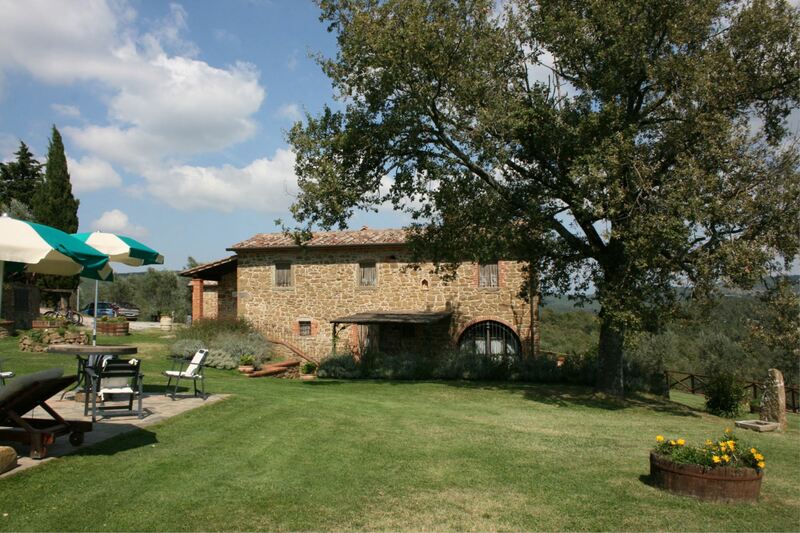 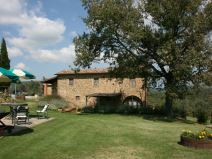 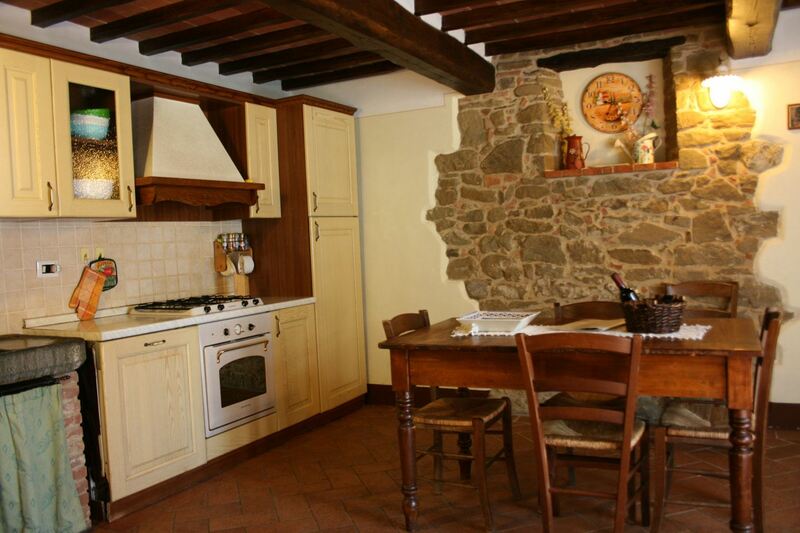 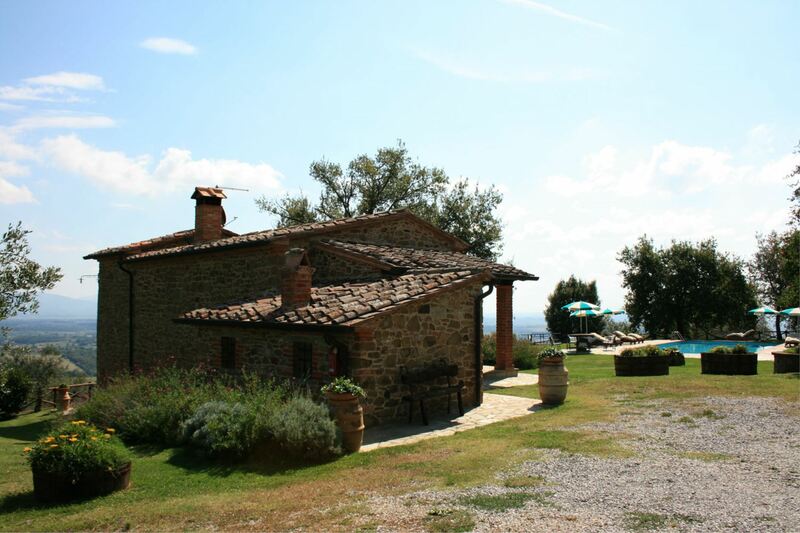 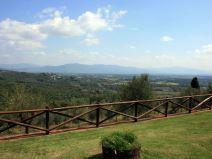 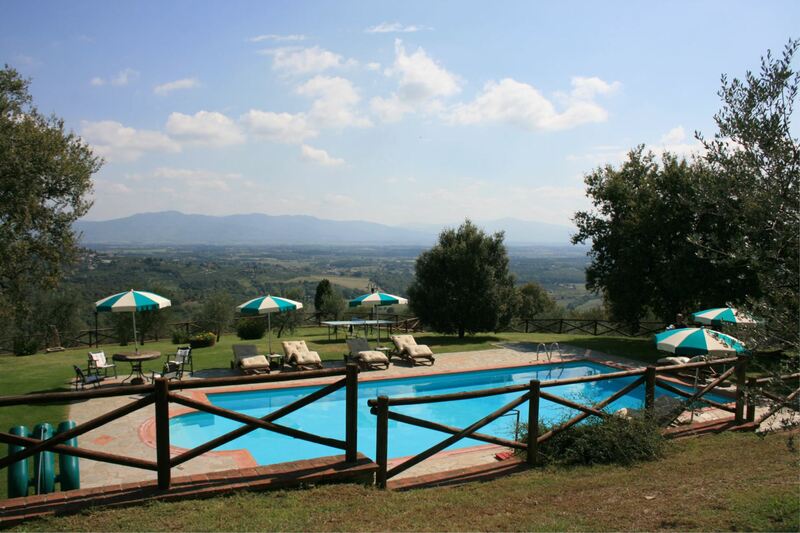 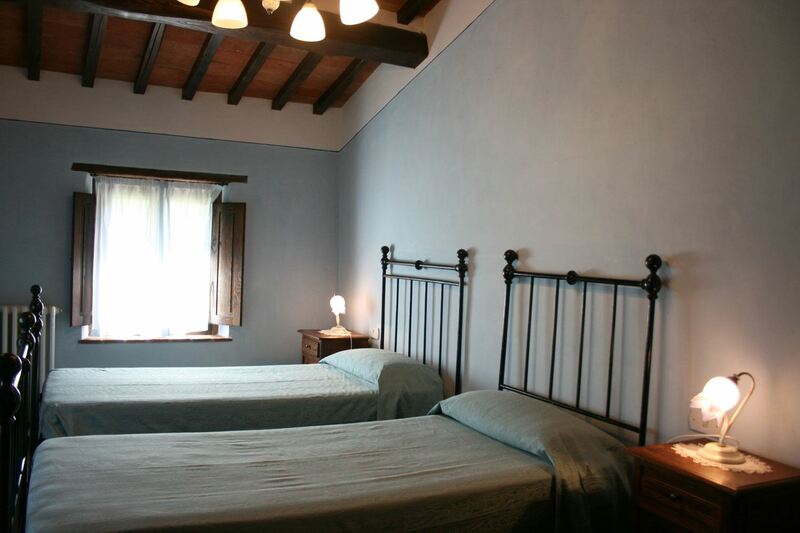 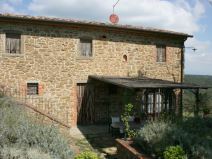 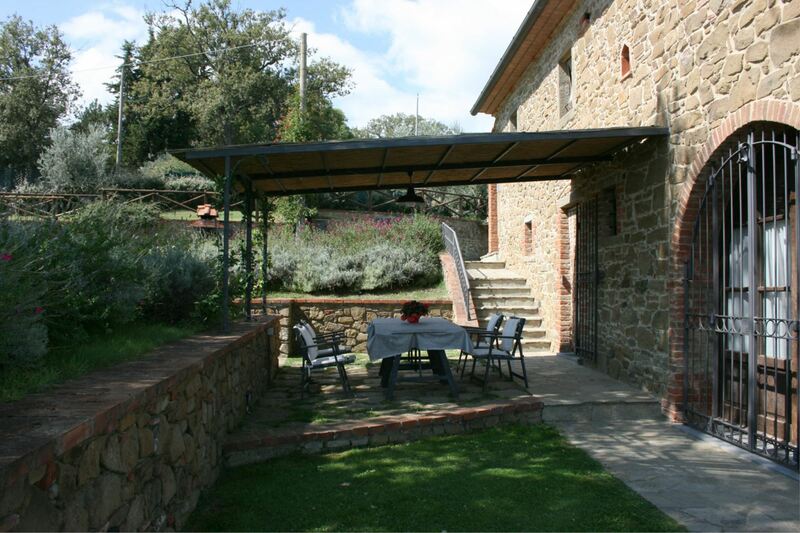 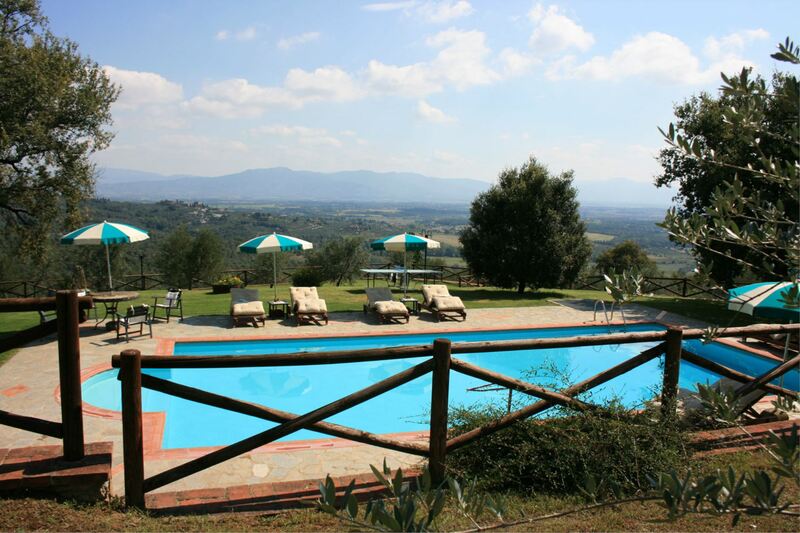 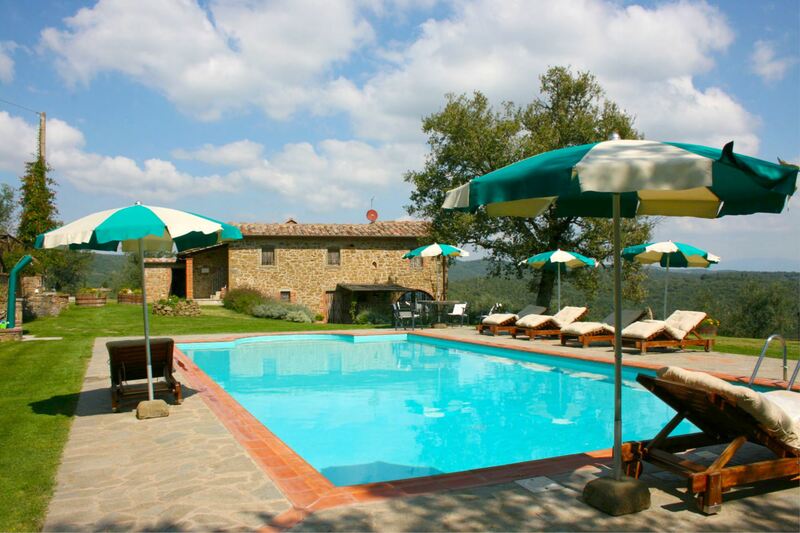 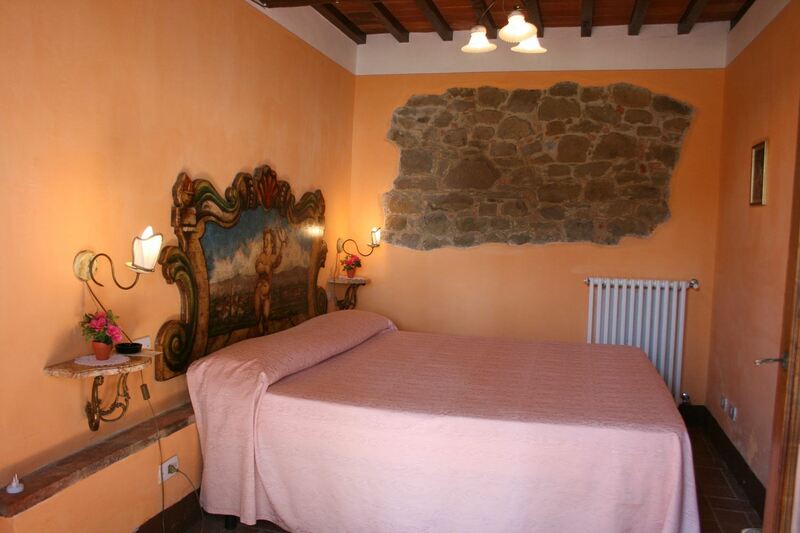 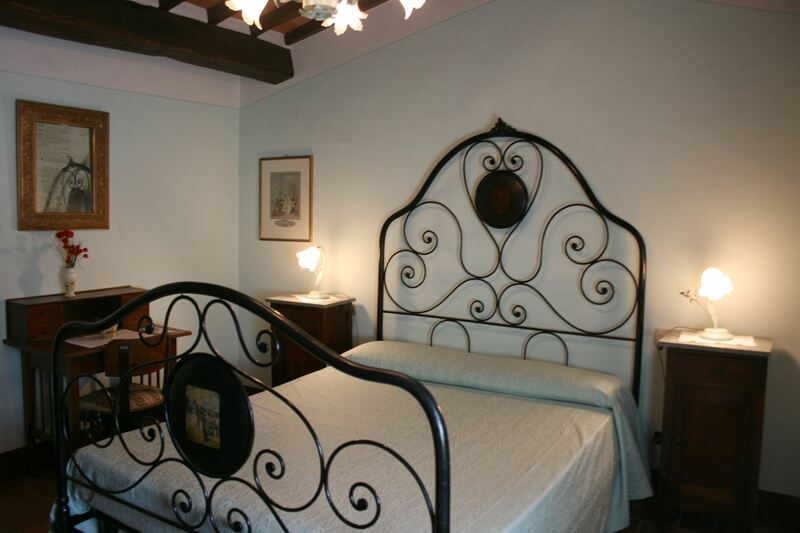 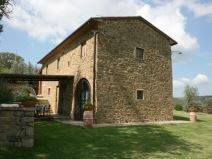 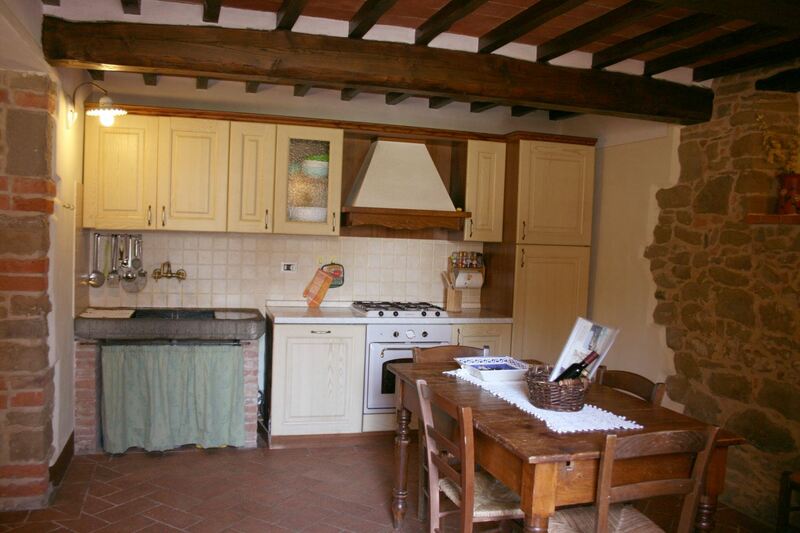 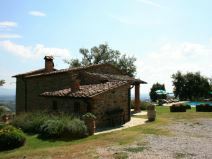 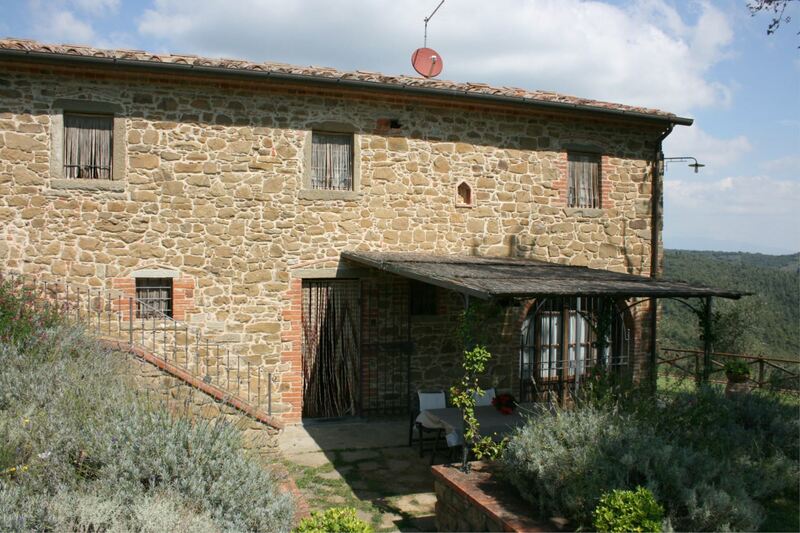 Podere della Crocchia is lovely holiday farmhouse set in a beautiful panoramic position, immersed in a rural environment that has all the typical characteristics of the Tuscan countryside. 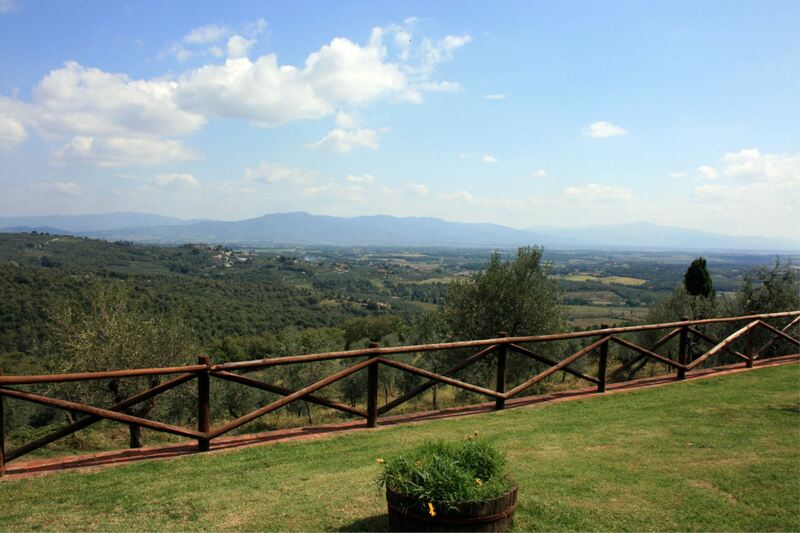 The countryside in the valley with its endless fields of wheat, corn and sunflowers merges harmoniously with the high hills dotted with little old villages, villas and farmhouses surrounded by vineyards and olive groves which produce excellent wine and extravergine olive oil. 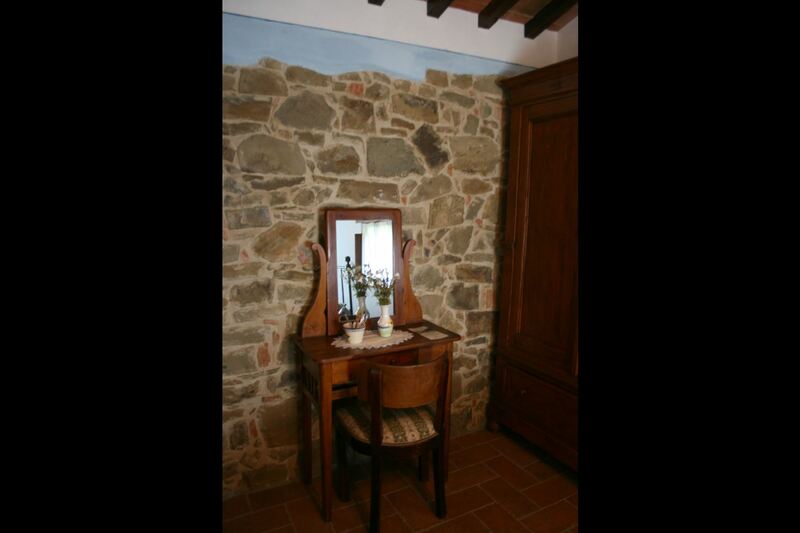 Magical combination of old and new. 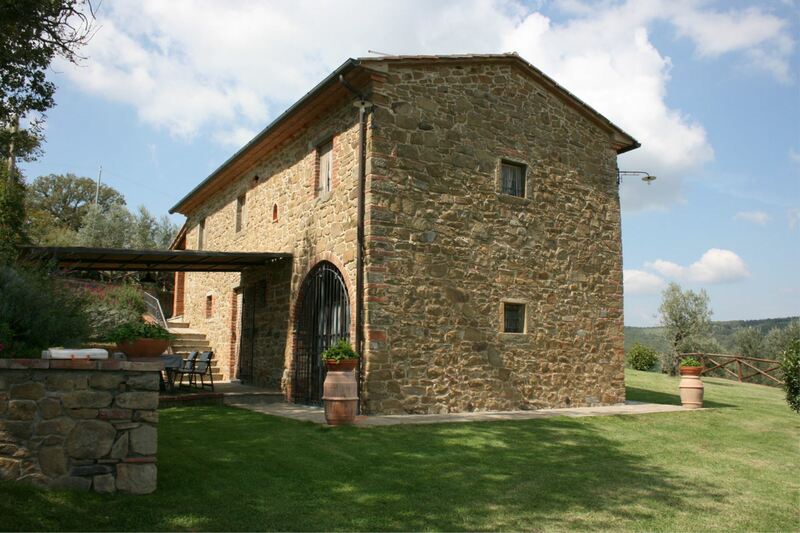 Thanks to careful restoration work, Podere della Crocchia has been transformed into a comfortable holiday villa with its magical combination of old and new. 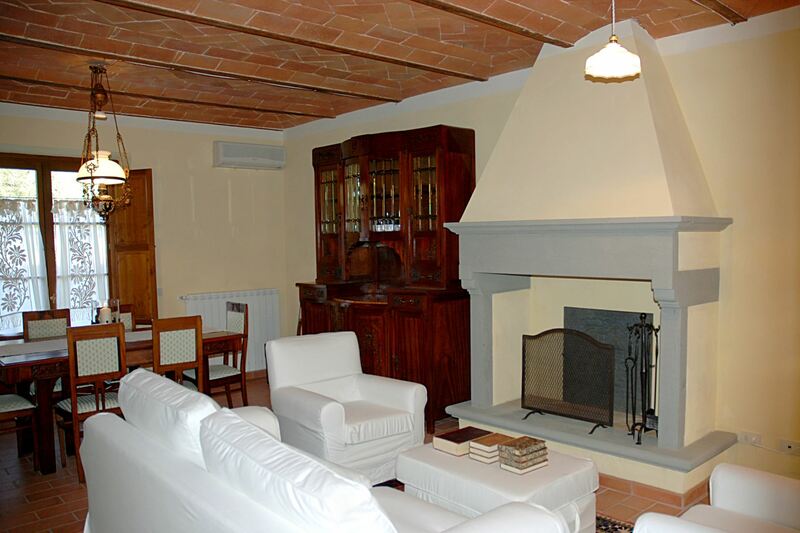 The furniture and internal details are of a good level. 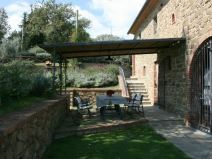 Outdoor space. 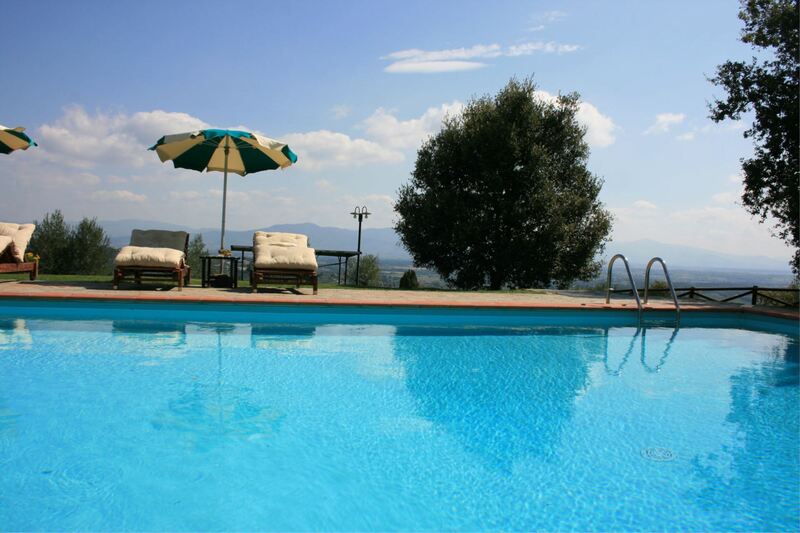 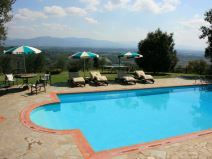 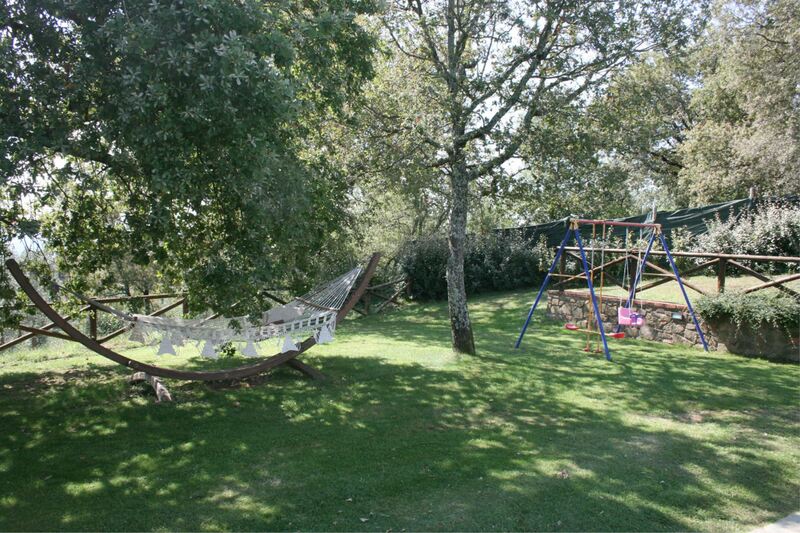 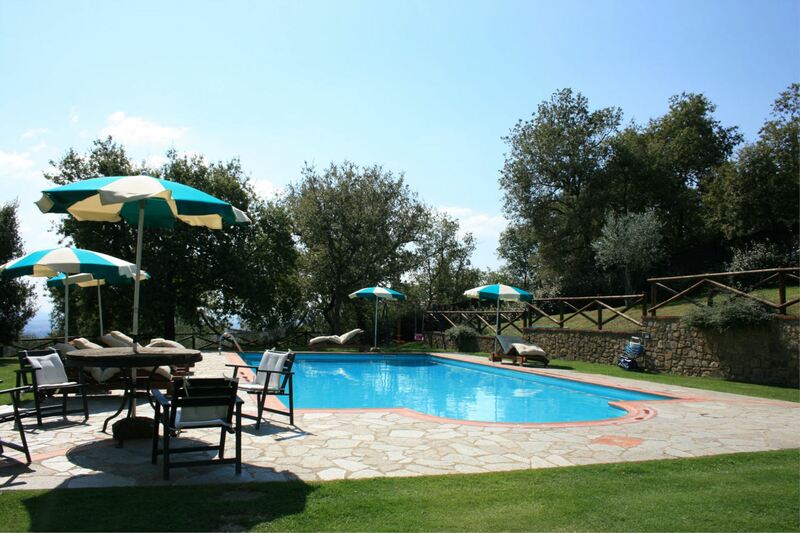 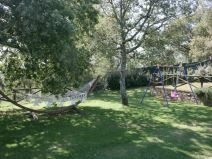 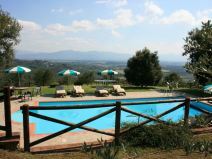 All around the villa there is a large garden equipped with garden furniture, barbecue, play area for children and the beautiful swimming pool (size 6 x 12 m, depth 1,20-1,80 m) that looks out over the valley. 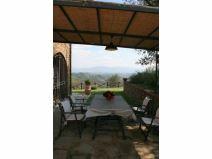 At guests' disposal table-tennis and bicycles. 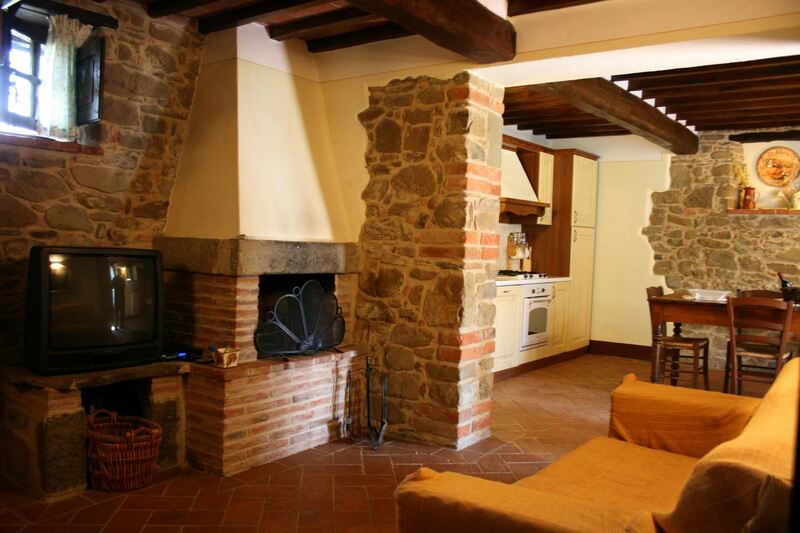 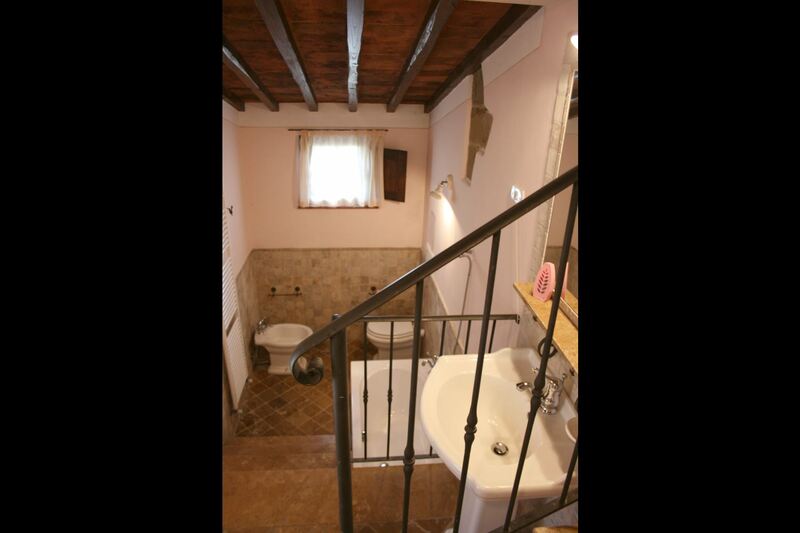 GROUND FLOOR: sitting-dining room with kitchenette and fireplace, double bedroom, bathroom with shower. 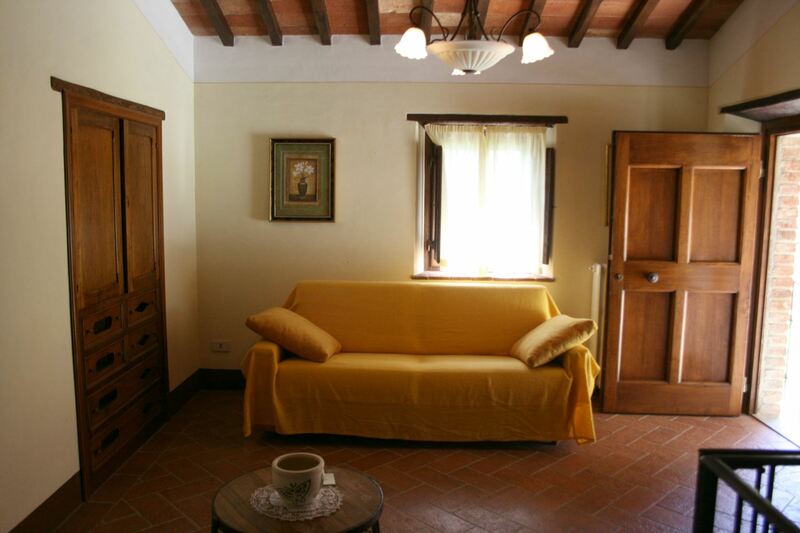 FIRST FLOOR: with access via both external and internal spiral staircase, sitting room with double sofa bed, double bedroom, twin bedroom, bathroom with bath. 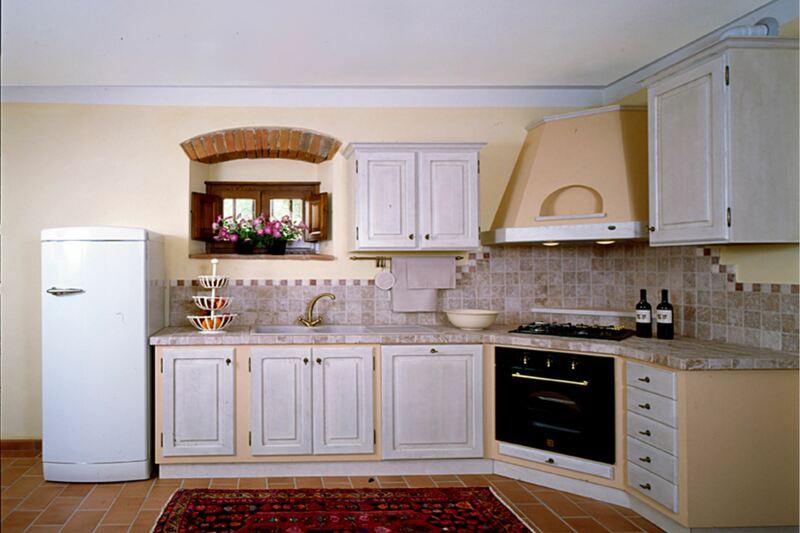 EQUIPMENT: freezer, dishwasher, washing machine, oven, toaster, filter coffee maker, air-dryer in each bathroom, microwave, moka coffee maker, satellite Tv, safe, high chair, table tennis, bicycles, barbecue, Wi-Fi Internet access. 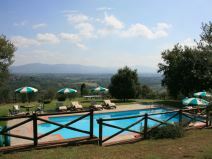 Private pool open from 30/03 to 19/10. 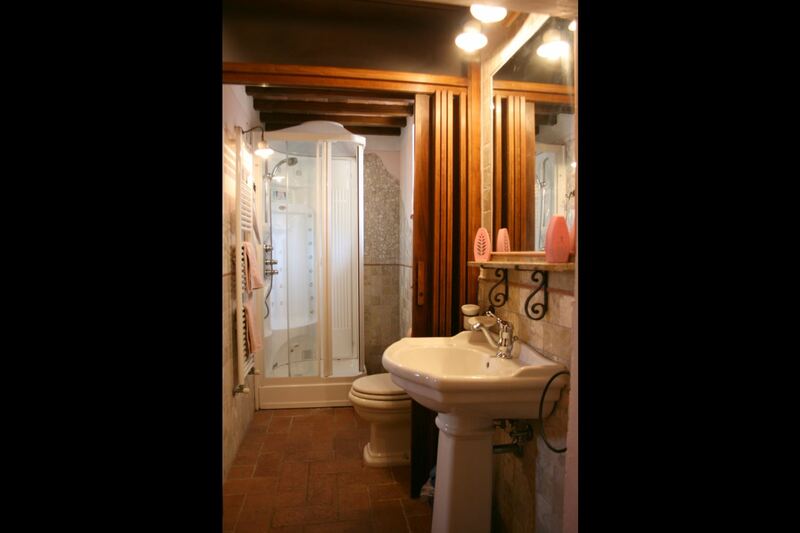 Obligatory final cleaning Euro 12 per person with a minimum of Euro 60.